Well folks, the time is here! I am currently on my way down to Georgia for the night and start my journey starting on Springer Mountain in the morning! It’s hard to believe that after this past year of reading, planning, and training, that it’s finally here. As of right now, I feel about every single emotion that a person can feel: Happiness, excitement, anxiousness, nervousness, and lots of questioning that I know will subside just as soon as I step foot on the first white blaze. Even though I feel these, I am confident and know that this will be the most remarkable thing I’ve ever stepped out to do. For past thru-hikers or those that are close you know the feelings that I have. I am a confident nervous wreck haha but am so excited to get going! In true Caleb Bonner spirit, I’m currently listening to CCR:Looking Out My Back Door imagining what it will be like pushing myself up and down mountains and sleeping in the elements every night. I have packed and unpacked my bag about 15 times, tried out every piece of gear, physically trained, and read every book and watched every video I could find. I’ve prepared myself as best I can and am so excited to see what my physical and mental boundaries are! I’m ready to see what I am capable of all while seeing the entire stretch of the most beautiful mountain range in the world, the one I call home, The Appalachian Mountains. I will be posting pictures and updates as I get cell service on the trail and into towns. I will be posting weekly updates here as well as on Facebook. On my updates, I will be putting pictures/videos, my mileage, places I’ve been as well as people that I have met. Please feel free to read about my trip, ask any questions you might have, and send encouragement my way! I will do my best to get back to everyone! Before I start, I’d like to thank my parents, my best friends, and most importantly my amazing girlfriend Reilly in supporting me to follow my dream, to work hard to do so, and for the nonstop encouragement because it has made all the difference. I know that it is going to be hard, really hard, but it is going to be the adventure of a lifetime. I’m ready to celebrate discomfort. We”ll see ya next week in Franklin, NC! Hey I'm Caleb! I'm Thru Hiking NOBO starting February 25th, 2017! 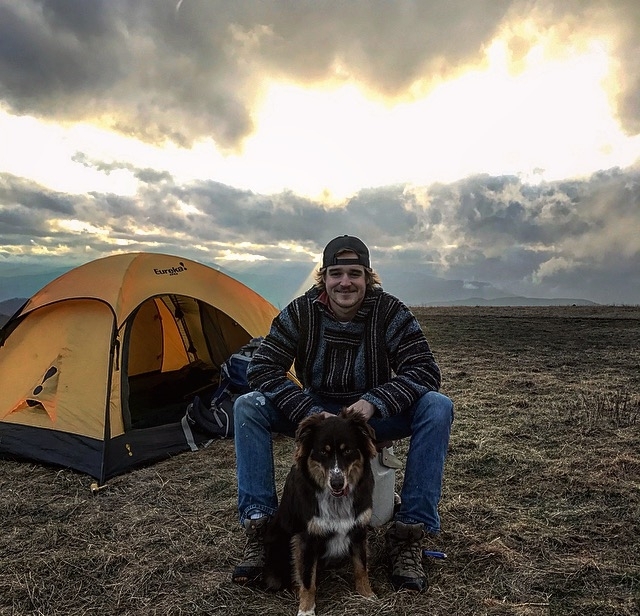 I'm a backpacker, kayaker, climber, and fisherman who loves all things outdoors. I enjoy good burritos and craft beer. 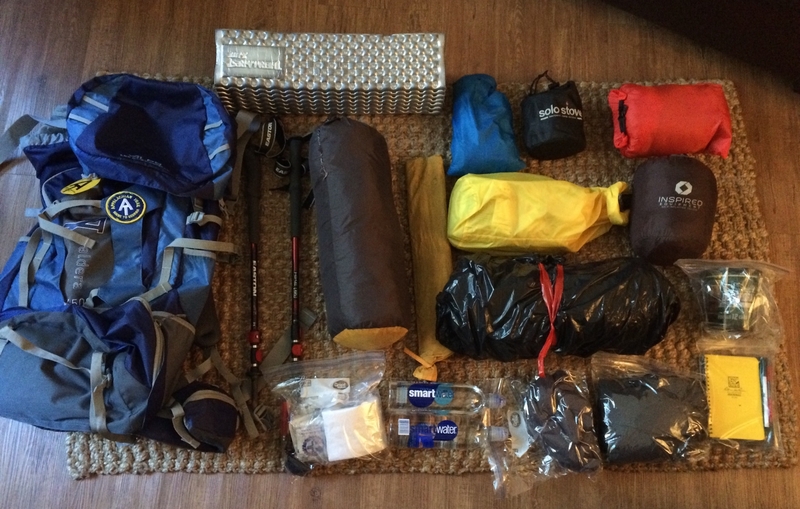 I hope to keep up with my journey, people I've met, and my gear through this blog! If you would like to help me out any way with my hike feel free to get in contact with me! "Adventure is not outside man, it's within"
Im in the best friend category right…? Exciting times buddy, making memories! Keep on keeping on Caleb I start my NOBO March 26 God bless! Good luck!!! Hope to be in your shoes soon. “Keep on trucking dude ” ??? You’ll be about a week and a half ahead of my son who starts out next Thursday. Best of luck to you! Best wishes on your adventure! !